On May 5, 2012 at approximately 11:59 p.m., officers from the Eastern District responded to a report of a motor vehicle collision involving a pedestrian at Route 100 eastbound near I-97 northbound. Officers arrived on scene and located a pedestrian, who was critically injured as a result of being struck by a vehicle. Crash Investigators from the Traffic Safety Section were dispatched to the crash scene to assist with the investigation. 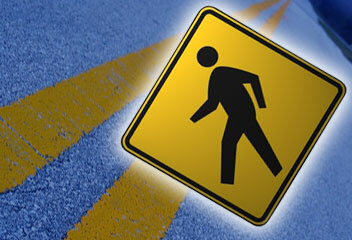 Witnesses reported observing a male pedestrian in the travel portion of the roadway on Route 100 near I-97. For unknown reasons, the male subject was running in and out of the travel portion of the roadway when he was struck by a 2010 Hyundai Elantra. The pedestrian, identified as Dwayne Rauchhaus, was transported to the University of Maryland Shock Trauma with potentially life threatening injuries. He was listed in critical condition. On May 6, 2012, at approximately 10:45 a.m., Dwayne Rauchhaus died as a result of his injuries at University of Maryland Hospital. The investigation is ongoing at this time and there is preliminary evidence of pedestrian error and alcohol on the part of the pedestrian. There was no evidence that speed or alcohol were factors on the part of the vehicle operator.